As the work of journalists has become more digitised, from newsgathering to filing copy and interacting with readers, the risk of losing important information and materials stored online has also increased. Due to technical difficulties, faulty equipment or hacking, individuals and news organisations could easily lose access to their story archives or source materials used in investigations, for example. Rhizome, a 20 year-old non-profit organisation based in the New York and affiliated with the New Museum since 2003, is dedicated to commissioning, presenting and preserving born-digital art, and one of the ways in which it aims to achieve this is by developing tools to make archiving online content more accessible. The organisation recently received a grant of $200,000 (£158,978) from the Knight Foundation to expand Webrecorder, a free and open-source software that allows anyone to easily capture and store digital content, such as materials posted on social media. Webrecorder does not require any installation, and anyone can sign up for a free account to create and preserve interactive screen recordings, as well as static snapshots, of any website they browse. The account comes with 5GB of storage and there is no time limit for the recordings, which are saved in a standard WARC (web archive) format and can be organised into public or private collections by topic, date or other relevant characteristics. For example, a journalist might choose to archive the Twitter feed of a source or key figure over a certain period of time, which could be useful for research or referencing purposes and it would also help them avoid resorting to bookmarking or collecting links saved in multiple places. The Rhizome team started working on the basic version of Webrecorder in 2014, alongside lead developer Ilya Kreymer, with initial support from the Knight Foundation Prototype Fund and additional funding from the Andrew W. Mellon Foundation in 2015. Zachary Kaplan, executive director at Rhizome, said the recent grant from the Knight Foundation will help expand the current version of Webrecorder by researching the security, privacy and copyright aspects surrounding the tool and testing it with pilot partners across different industries. "The premise of Webrecorder is to help archive dynamic, complex media and websites and through it, we are trying to decentralise preservation as an activity," he told Journalism.co.uk. "There should be such collections of all sorts of born-digital media, so we want people to not just use [Webrecorder], but to create really interesting collections of the web." Rhizome has previously visited newsrooms and done research into how Webrecorder could help journalists, who are one of the target audiences for the software, and this work will continue as part of the new round of funding. "We always think about how the first draft of an article that's put online could often be just embedded tweets, before text is eventually added in. 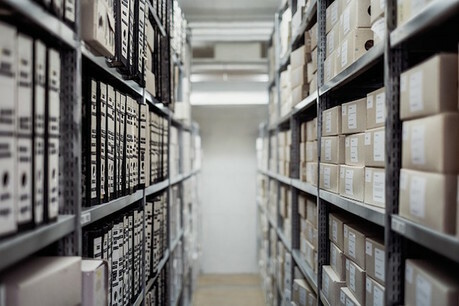 "The stability of this kind of easy archiving for document storage, review and revision is a great possibility, but the workflow for journalists is very specific, so the grant will allow us to figure out how it could function." Another feature of Webrecorder that journalists might find appealing, and one of the software's core purposes, is to preserve material that might be deleted or become unavailable in time. However, the tool is currently operated under a Digital Millennium Copyright Act (DMCA) Takedown policy. This means any individual can ask for a record of their web presence or materials to be removed, so Rhizome will be working to "answer the more complicated questions and figure out policies" around privacy and copyright with the latest round of funding. Also under development is the ability to embed the interactive recordings and export them in other formats apart from WARC. At the moment, users are able to get a link to their archive collections and share it, even though Rhizome has experimented with embedding options before. Earlier this year, the organisation collaborated with the National Football Museum in Manchester to help them embed Vine videos they had archived in Webrecorder. "We've always had an affection for individuals who are using the web in the most intuitive and often most interesting way, and now this happens on social media. "People are interesting in preserving conversations, comments, but also artwork that is created on platforms such as Facebook and Instagram," Kaplan said.